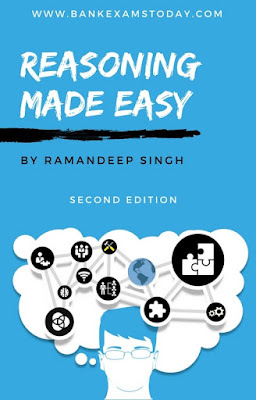 The second version of Reasoning Made Easy is available now. 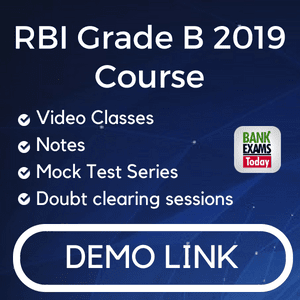 As you might know that difficulty level of questions in IBPS and SBI exams have changed drastically, we have added new pattern questions in this book. Ques 1. Is this book based on the latest IBPS PO and SBI PO exam pattern? Ques 2. Who wrote this book and what are his qualifications? Answer - First edition of Reasoning Made Easy version 1 was written in 2014. The second edition of this book is written in 2017. This ebook is updated every month. BankExamsToday editorial team wrote this book. Our team consists of 7 highly qualified professionals. Ques 3. How books will be delivered? Answer - This is an ebook, you will receive an email containing the download link. Ques 4. I have already purchased IBPS PO Mega Preparation series, do I need to purchase this book? Ques 5. What is mobile friendly PDF? Answer. As the name suggests it's a PDF optimized for smaller devices. Ques 6. Can I take printouts? Ques 7. 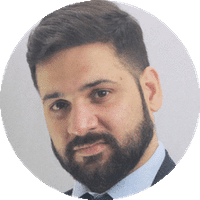 Do you provide detailed solutions to all the questions? Answer. Detailed solutions are available at the end of each chapter. Ques 8. What I will get after making payment? Answer. You will get 4 PDF files. One Reasoning Tricks ebook and the second one is New Pattern workbook. Ques 9. What is the customer care number?